I believe that the private sector in South Africa is committed to driving economic growth. We look to government to create a climate of stability, enabling companies to concentrate on doing business and growing our contribution to the economy. The group’s values guide our actions and the principles of integrity, excellence, teamwork, commitment and sustainability remain integral to the way we do business. On behalf of the board, it is my privilege to present the 2018 integrated report. The 2018 year has been one of change as the business continued to align itself to the principles of Managing for Value. In a difficult context, it is pleasing to see this focus on delivery yielding positive results. The year under review remained challenging across most of the geographies in which we operate. From both a local South African and an international perspective, I remain concerned about the uncertain macro-economic and political landscape, which continues to place pressure on our operations. In South Africa, Barloworld's home base and core market, economic growth was virtually stagnant as the economy slipped into a technical recession during the second half of 2018. The Mining Charter review provided some respite to the mining industry by sending positive signals of a more favourable outcome for mining investors. While the appointment of Mr Cyril Ramaphosa as President of the Republic of South Africa has brought some political stability, the country's social and economic challenges continued to mount. Poverty and unemployment levels remain unsustainably high, deepening inequality and increasing social tensions. 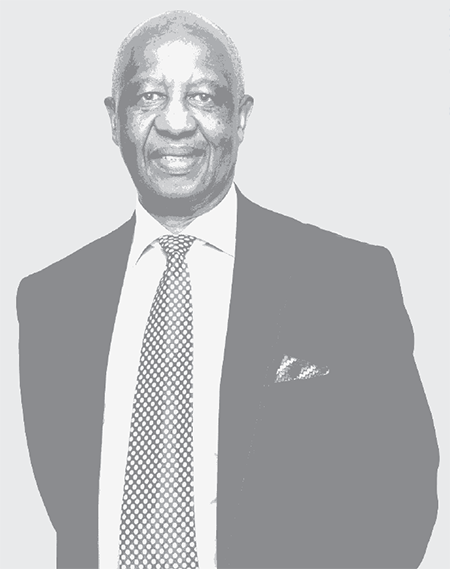 The situation in our country has not been assisted by the revelations that have since come up, especially through the public hearings of the Zondo Judicial Commission of Inquiry, that for almost a decade, or more, the country's resources were systematically mismanaged, and our country's resources looted in a grand corruption scam that seems to have been sanctioned from the very top echelons of the governing authorities. It is comforting, though, that remedial steps to stem the tide of corruption are being taken so that the country's economy can be grown again in circumstances where there will be no systemic draining of the country's resources by individuals in high places, and or by the instrumentality of state capture agents in the form of front companies that evidently were being used for criminal activities, including money laundering aided and abetted by the private sector. We look forward to reports that will come from the various commissions of inquiry aimed at cleaning the environment so that business can flourish in a proper and ethical environment. Although the current administration is taking steps to address the economic crisis, including the recent announcement of the stimulus package injection into the economy, the challenges are great. The political rhetoric in the run up to the 2019 national elections, seems to be inspired by the Parliamentary Portfolio Committee hearings following the adoption of a resolution by the ruling party, the African National Congress in December 2017, which called for a review of section 25 of our Constitution to accommodate expropriation of land without compensation (referred to as the EWC resolution). The highly politicised public debate has raised concerns that, arguably, might undermine the government's efforts to create a healthy environment for economic growth, and, consequently, dampen business appetite to invest until there is predictability about the consequences of the EWC resolution. With all that having been said, I believe the private sector in South Africa is committed to driving economic growth. We look to government to create a climate of stability, enabling companies to concentrate on doing business and growing our contribution to the economy. Internationally, ongoing geopolitical dynamics continue to dominate the discourse, with the potential implications of a US-China trade war fuelling fears of trade barriers and heightening economic uncertainty. Furthermore, sanctions in Russia continued during the year and the retaliatory imposition of higher import tariffs in August may have negative consequences for our Equipment business in that territory. Given the uncertainty of the operating context, we have to ask ourselves the question how we can continue to create value for our stakeholders and remain a sustainable business in the years to come. The answer, I believe, lies in emphasising the fundamentals in which we believe, while critically reflecting on the levers we can influence. While the times we operate in are increasingly volatile, I remain optimistic about the group's ability to deliver on its vision – to delight our customers and maximise shareholder returns. During the year, the business delivered solid progress against its strategic priorities - including the turnaround of underperforming businesses, the optimisation of our existing portfolio and the focus on growth in order to deliver sustainable returns. Southern Africa remains our core market, and we will potentially grow our presence where we find opportunities that align with our core competencies. We posted record results in Siberia, despite the challenging geopolitical situation. We also successfully executed the decision to dispose of our Iberian Equipment business. This proved effective, releasing cash which can now be allocated to higher returning businesses that drive top-quartile returns for our shareholders. Our Equipment and Automotive divisions delivered on the plans to optimise and address underperformance. Through resolute effort, our Logistics business reached its milestone in returns and remains an important part of our One Barloworld stable. While the group's vision is bold, it is anchored in a genuine commitment to responsible citizenship, intent on preserving our legacy of relationships built on trust. To engender this trust, we know that our commitment to sound practices in environmental, social and governance (ESG) matters must be unwavering. 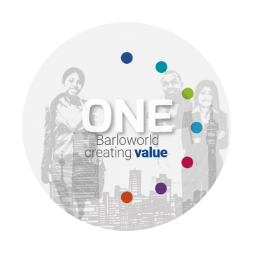 It gives me great pleasure to announce that subsequent to year end, Barloworld has entered into agreements aimed at implementing a transformative broad-based black economic empowerment (B-BBEE) transaction. The transaction aims to contribute meaningfully to transformation and inclusion in the South African economy. As part of the transaction, a Barloworld Empowerment Foundation will be created, and will focus on three key areas, poverty alleviation, education and youth development. I am sad to report that we had two work-related fatalities during the year. On behalf of the board I wish to extend our sincere condolences to the family, friends and colleagues of these employees. We can never become complacent about the potential dangers of our working environments and must continuously challenge ourselves to understand how incidents happen and how to prevent them. Our focus on safety is relentless, and we are committed to ensuring that we remain vigilant on upholding safety standards, creating safe working environments and driving employee awareness of potential safety hazards. The group's values guide our actions and the principles of integrity, excellence, teamwork, commitment and sustainability remain integral to the way we do business. We understand that the board is ultimately accountable to the stakeholders of the business, responsible for providing ethical leadership and offering independent oversight. Critical to these responsibilities is the quality, diversity and commitment of the board. As the chairperson of the board as well as that of the nominations committee, I feel confident to report that we have a balanced board, rooted in ethics, with a diverse and independent perspective. The board works well together and encourages rigorous and constructive debate to ensure decisions are thought through and fully understood. The board is also committed to deeply understanding the group's operations locally and abroad. This year, the board opted to host its annual strategic meeting at our Russian operations. This provided the board with the opportunity to engage with employees and customers, offering first-hand exposure to some of the challenges and opportunities they face at an operational level, and deepening the board's appreciation and understanding of the group's business. It was a signal of our commitment to the One Barloworld strategy, highlighting the importance of each of our businesses in us reaching our bold ambition. At the annual general meeting scheduled for 14 February 2019, Ms Bongiwe Mkhabela and Mr Isaac Shongwe will retire as directors of the board, and Mr Don Wilson will also retire as a member of the board and finance director. In line with a structured board nomination process for the appointment of non-executive directors of Barloworld Limited Ms Neo Mokhesi and Mr Hugh Molotsi were appointed independent non-executive directors effective 1 February 2019. To ensure a seamless transition, Ms Olufunke Ighodaro was appointed as an executive director of the board and financial director designate, effective 1 October 2018. She will succeed Mr Wilson as finance director of Barloworld at the annual general meeting in February 2019. Ms Andiswa Ndoni was appointed company secretary effective 1 September 2018. The board wishes to thank the departing executive and non-executive directors for their invaluable service and contribution to the board and Barloworld. Looking ahead, we will closely monitor the unfolding tariff war between the US and China, as well as the sanctions imposed on Russia, in anticipation of the potential impact thereof on Barloworld's business. These external factors also have the potential to adversely impact the goals we have set, and we will continue to monitor these issues carefully. To retain the trust of our customers, we must continuously mitigate the potential impacts of external factors on our business and ensure product availability to provide solutions for the demands of our customers. We will continue to seek opportunities for growth and to diversify our business where it makes sense to do so. 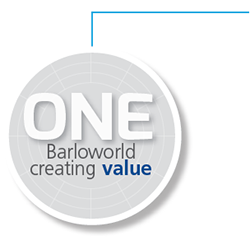 Barloworld is a resilient organisation and we are fortunate to have customers who are equally resilient. When we work in alignment, I believe we can achieve great feats. During these challenging times, it is how the people of Barloworld, both our employees and our customers alike, handle these challenges that will determine our success in achieving our vision. I want to take this opportunity to thank my fellow board members for their strategic counsel, direction, support and oversight of Barloworld. To Ms Sibongile Mkhabela, Mr Isaac Shongwe and Mr Don Wilson, I would like to express my sincere gratitude for your service and invaluable leadership. To the executive management team, and specifically Mr Dominic Sewela, I would like to extend my, and the board's, appreciation for your tireless dedication and drive under challenging circumstances. The energy and commitment within the business is tangible and the board and I have the utmost confidence in your team's ability to achieve our vision. Finally, to our stakeholders, thank you for your ongoing support. We look forward to taking you along on this journey towards achieving our vision. We believe we are well positioned to flourish and look forward to overcoming the challenges and celebrating our wins along the way.